Being a full time mama is the most difficult and rewarding job I've ever had. However, not having a set schedule makes it difficult for me to get everything accomplished during the day. I'm the type of person who writes tons of 'to-do lists' and it seems like they keep piling higher and higher as Zaden gets older. I'm still trying to learn how to balance my day out and remember that I need 'me-time' every now and again. Today I have Gemma Collier, a blogger and mom of three who is constantly searching for a little 'me-time'. When she's not running around after the kids she enjoys playing tennis and helping out in her husband's bookshop. We all know that children and free time do not go hand in hand; being a mother is a full-time job with some of the most unforgivable hours around. It’s hard to find the time to do anything when you are in the midst of 14 hour day, so it’s really important to make the most of every minute. With the overwhelming popularity of the Great British Bake Off we have become hooked on scones, bread and all things baking. If you enjoy baking then it is a fantastic opportunity for you to kill two birds with one stone. You can bake to your heart’s content as well as involving your child, who make a pretty good commis chef and are also another set of hands for when it comes to operation clean up. You can do something that you enjoy whilst also teaching your child an invaluable life skill. Most of us have smartphones and most of them are packed with apps and games, whether that be Flappy Birds or Candy Crush. Playing a game on your phone is a great way to fill ten minutes, whilst other games, such as bingo, have a great social element to it. For example, online bingo at 32Red has a chat function, so when you are playing you can converse with plenty of other people from all over the world. Conversation can be lacking when you are in the house all day so things like bingo are not only a fun game but a nice place to socialize, and if you win you can pay for a babysitter and go out and celebrate. The bathroom is the best room in any house, once that door is locked it’s just you, bubbles, a book and some music, kids are left on the landing. 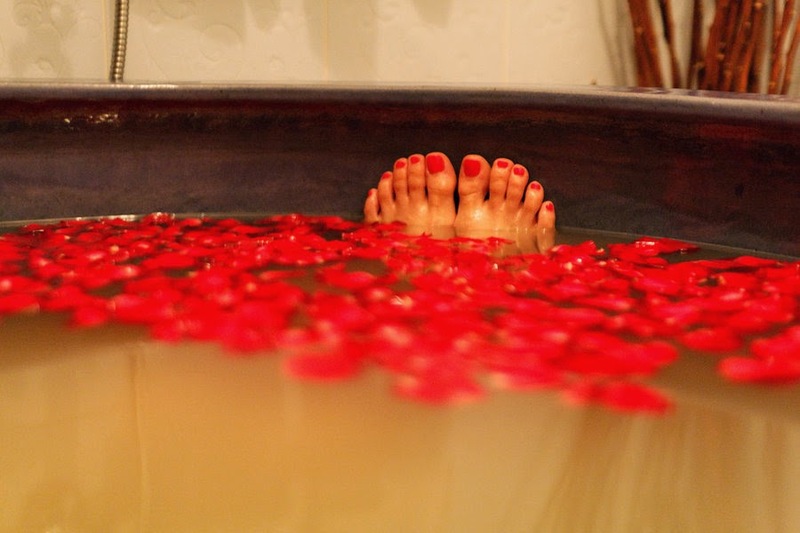 It is important for any mum to be able to de-stress and the bath is by far the perfect place to detox. A solid half-hour soak will revitalize you and recharge your batteries perfectly, as well as giving you a safe haven to contemplate in peace. Try to take up a new language or brush up on something that you are really interested in. Per se you were attempting to learn Spanish; you could fit your study around your lifestyle. Perhaps one hour a week would be spent at an adult class, a fantastic place to meet new people and socialize, and then you could to try to fit in ten-to-twenty minutes of daily study. It is a rewarding experience and one that really is a brilliant way of making the most of your time. With language skills you are more likely to venture to different places, which is beneficial to both you and your children. As trivial as it may sound, singing in undeniably good for you. Everyone loves spontaneously breaking out into song and scientists have recently discovered that not only does it make you feel good, but singing is actually beneficial for your heart, it has similar characteristics as yoga. Your kids may not like it, but who cares when you’re sounding as good as Beyonce! If you set aside a few minutes every hour you will be surprised how much they add up to and how much you can achieve. As long as the clock is ticking you should always have time for something. Loved all of her awesome ideas. I definitely need to brush up on my Spanish and take more baths! What's your favorite 'me-time' activity?